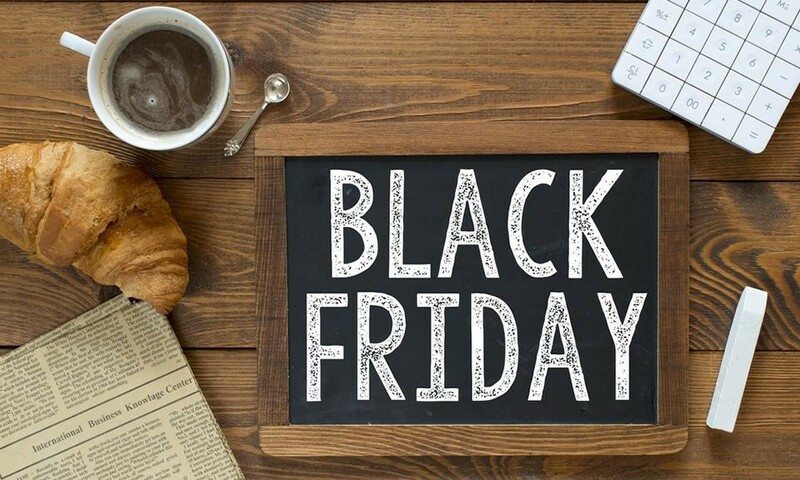 Black Friday is here! For most it signals flash sales, holiday hysteria, and American consumerism at its finest. It serves as the official kick off to the holiday spending season, with retailers preparing all year for the sales that are designed to bring them out of the red and into the black. For others, like myself, it has become a day of rest, filled with leftover turkey sandwiches, college football, and of course cannabis. So, if you are shopping for the cannabis connoisseur on your holiday list you may be better served giving God’s Gift instead of waiting in the lines at Best Buy. 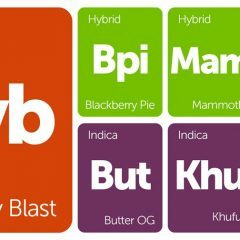 Whether you are wrestling for the season’s hottest toy or just for the TV remote, these strains will help you get through Black Friday with a smile on your face. While being funneled through your favorite retail locations all day, you will find it refreshing to just go with the Flo. A great way to start your day, Flo provides a mellow yet energetic lift with an appropriate amount of clarity that will allow you to maintain your rapid purchasing pace. Gas up with Black Diesel. This energetic sativa will fight off the depression of missing out on a deal and help you power through your gift list. Flavors of skunk and citrus mix with an invigorating scent of diesel fuel that will lift you up even when you are running on fumes. As the weather gets colder, don’t slip! Black Ice crosses two potent parent strains, Black Domina and Ice, to deliver heavy indica dmoninant effects that will knock you off your feet after a grueling day. The relaxing effects are the perfect way to combat the pain of standing in line all day. Black Ice is a calming and sleep-inducing strain that is best saved for the end of your shopping shenanigans. After extinguishing all of your energy running from sale to sale, warm yourself up with some Fire OG. 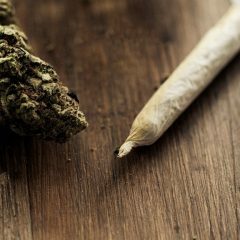 It is known for being one of the strongest varieties of OG Kush and will spark relaxing and happy effects that are sure to elevate your holiday spirit. 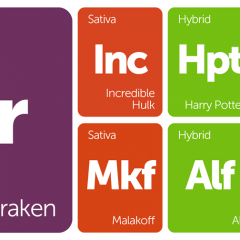 Be careful not to underestimate Fire OG, this potent variety can leave a novice feeling scorched. Hit the jackpot with Black Jack. After a day of questionable purchasing decisions, this Jack Herer cross is a perfect solution to elevated stress levels and the fatigue of repetitious credit card swipes. After a morning spent dodging the masses of crazed consumers and snarky sales associates, you’ll be relieved to introduce yourself to Mr. Nice. No coaxing or begging to check the stockroom is needed as this strain will be waiting to shower you with its gift of relaxing euphoria. The sweet pungent aroma will turn any sour attitude around and return your holiday cheer. We all have loved ones who are impossible to shop for. They tend to be picky and often have expensive tastes. For those finicky friends, Black Diamond might be the answer you’re looking for. After searching high and low for a particular gift, you may be looking to relax that pain in your backside, or maybe you just like the way the glittery trichomes sparkle like gemstones. Either way Black Diamond provides a pungent mix of Blackberry’s sweetness and Diamond OG’s indica effects that are sure to ease your troubles and help you unwind.